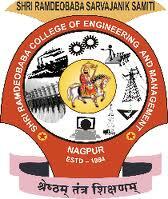 Enlisted below are Top Engineering Colleges in Nagpur 2019. Nagpur, the orange city is home to some of the best private and government engineering colleges in the state as well in the country. Engineering institutions of the city are known for their wide range of specializations. The developement in staff quality and student support services has prompted many more students to complete their engineering education in Nagpur. Click and discover all the information you may need about the Top 10 Engineering Colleges in Nagpur 2019. 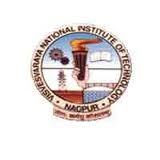 Visvesvaraya National Institute of Technology (VNIT), Nagpur is a public engineering institute that was established in June 1960 in the honor of a famous engineer Sir Mokshagundam Visvesvaraya. Govindrao Wanjari College of Engineering & Technology founded in 1983 is affiliated to Rashtrasant Tukadoji Maharaj Nagpur University and approved by AICTE. Vidya Niketan Institute of Engineering and Technology (VNIET), Nagpur was established in the year 2010 under Punjab Seva Samiti, Nagpur. Nagarjuna Institute of Engineering, Technology and Management came into existence in the year 2009 is one of its kind of institute promoted and managed by a team of well qualified engineers having vast industry experience in diverse fields.